If proof were needed that Netflix represents a new TV paradigm... Witness its recent forays into original programming: Orange Is The New Black, Arrested Development, Lilyhammer and House of Cards. All shows in the top tier of quality TV programming. 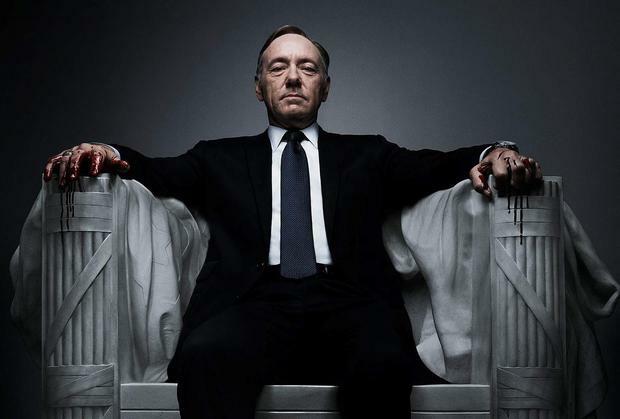 Netflix is the future of TV and it is showing us how and why with House Of Cards. Here's a show that came about in an old-fashioned way via market research, but with a new twist – the data was culled from Netflix's own viewing statistics. It was derived that the subscribers who watched the original BBC series House Of Cards also loved films by David Fincher and films starring Kevin Spacey. So they put a show together based on this data. Far from an attempt at placating that audience, the unique pitch of Netflix's House Of Cards just ensured there was an audience in place to justify the spend on the show. By laying the foundation, Netflix allowed a brilliantly cast and superbly directed show to emerge (Fincher directed two episodes but helped establish the show's rich filmic style). Kevin Spacey plays Frank Underwood, a Machiavellian politician in the White House with devilish ambition to get to the top and the deceptive tactics to make it happen. Netflix's release model for the series put the 13 episodes of season two online at once last Friday night. A TV marathon is great for a show like House Of Cards, as you can immerse yourself in the political world of Washington DC and take in the nuance of the language, performances and cinematography. Season two sees Underwood's fruitful scheming bring him one step closer to the President and his steely wife, played by the regal Robin Wright. The best show on TV right now? Well, it isn't even on TV.